Namaste England's new song Proper Patola is sure to find a place on your playlist, we bet. 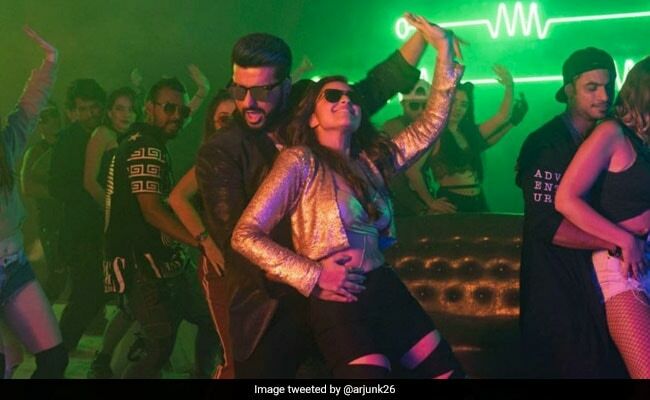 Diljit Dosanjh's super popular track Proper Patola has got a makeover and features Parineeti Chopra, Arjun Kapoor and Badshah grooving to the tunes of the peppy number. Arjun and Parineeti teased their fans on social media by posting a sneak peek of the song on Tuesday. This is the fourth song to be released by the makers of Namaste England and this one is sure to set your mood right. The song has been picturised in what appears to be a club. The song has been sung by Diljit Dosanjh, Badshah, Aastha Gill. Badshah has also composed the music for the uber-cool party track. Within few hours, Proper Patola has garnered over 477,717 view. Earlier the makers of Namaste England had released Bhare Bazaar, Tere Liye and Dhoom Dhadaka. Tere Liye was the first song to be released from the film. Tere Liye is a typical Bollywood romantic number which will make your heart skip and beat. The song has garnered over 25 million views on YouTube. Arjun Kapoor and Parineeti Chopra have collaborated for a film after a span of six years. Arjun Kapoor made his Bollywood debut with Parineeti in Ishaqzaade, which released in 2012. Speaking about sharing the screen with Parineeti Chopra, Arjun Kapoor in an interview to IANS had revealed that he "enjoys" working with her. "There is not a feeling of fear in me while working with Parineeti as I can tell her to improvise on a certain scene or ask her to do some more retakes together. There is no sense of insecurity among us in terms of outdoing each other. So, you look forward to work with such actors because eventually it helps both the actors to perform a good scene. That is the reason I enjoy working with her," IANS quoted the Arjun Kapoor as saying. Directed by Vipul Amrutlal Shah, Parineeti and Arjun's Namaste England is all set to hit screens on October 19.